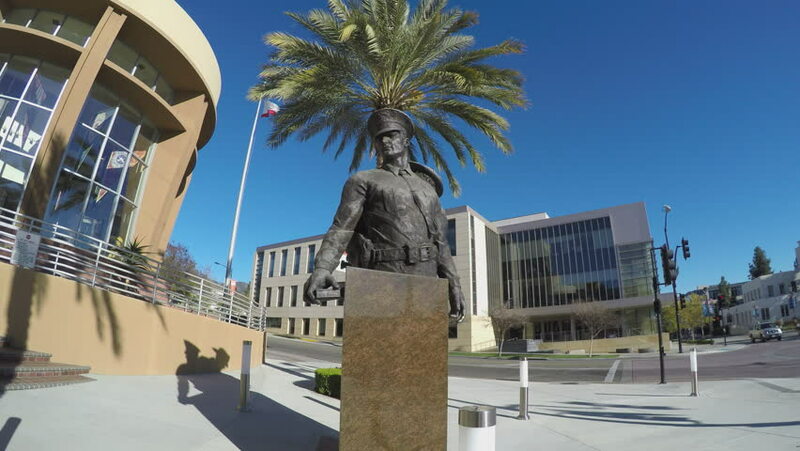 BURBANK, CA/USA: February 21, 2016- A low angle shot of a police statue bust at the Burbank California headquarters. The sculpture acknowledges the service of police officers and fire fighters. hd00:30ORLANDO, FL - March 13 2017:Orlando Public Library.Located in Downtown Orlando Florida on March 13 2017.